Welcome to the last day (Day #7) of Chocolate and Coconut Theme Week, and Day #1 of Chocolate and Mint Theme Week. 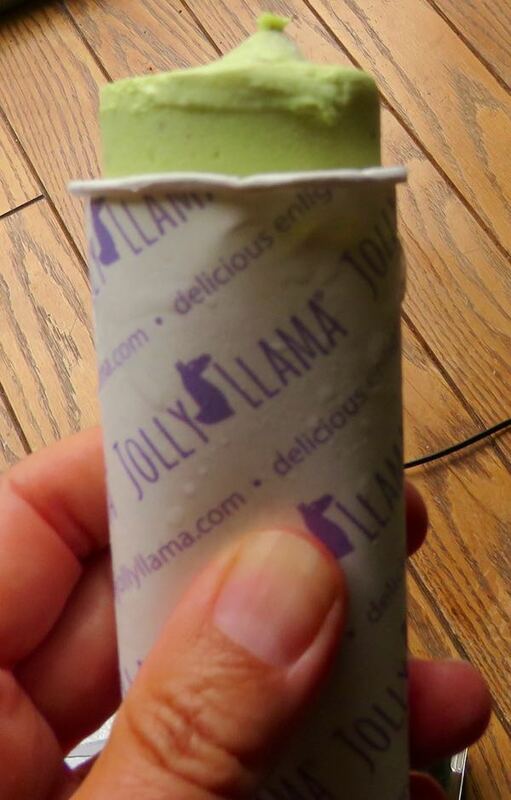 The refreshing taste of mint never fails to disappoint on a hot summer day. 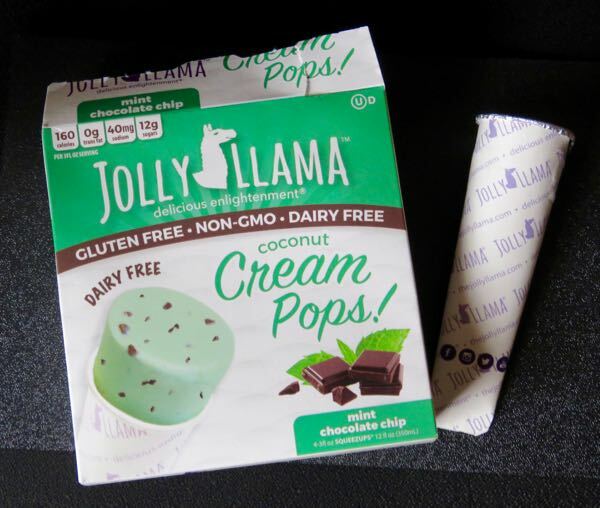 Today's (cleverly named) Jolly Llama Mint Chocolate Chip Coconut Cream Pop from Casper's Ice Cream (Richmond, UT) was a satisfying, gluten and dairy free, Non GMO alternative to a traditional ice cream dessert. 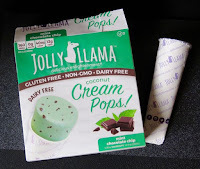 Each creamy mint chocolate chip pop came in its own "push-up" tube wrapper that worked well and prevented drips and/or spills.